This sturcture which will be the largest mixed use building in Europe is a joint venture between Russia and France. It will create 5,000 jobs during its construction and 3,000 direct jobs for its operation. The towers will be best-in-class in terms of technical efficiency and sustainable development. Some of the most powerful people on the planet were behind this project. Yet it still took 5 plus years to get it green lit. That’s why France is considered THE most transparent real estate market in the world. No matter who you are you can’t just throw money around and expect to get things done. You have to accept this is the way the French do things. You have to deal with the burearcracy, go through the motions and be patient and persistent. It’s the only way to make things happen. They’ve been around for thousands and thousands of years. As for your time schedule? Guess what? No matter who you are, you can wait. The Secrets of Color – How Many Do You See? Are You a Dich, Trich, Tetrachromat? We’ve all heard of color blindness. Well, did you know that some people simply just see more color than others? We know today that this phenomenon of heightened color awareness is directly related to color receptors or ‘cones’ in the eye. The simple secret is the more cones you have the more color you see. Check out this article and see where you rank in the hierarchy of color chromatic consciousness! History tells us that for thousands of years humans have sought ways to make their garments and surroundings more aesthetically pleasing; more colorful. Greek philosophers Democritus and Aristotle and Roman writers Pliny the Elder and Vitruvius recorded recipes to create fabric dyes from plants and animals. Ancient Egyptians used color for ailments. There are lists on papyrus dating back to 1550 BC of color “cures”. The Chinese also apparently practiced Color Healing. The Nei/ching, 2000 years old, records color diagnoses. Early studies about light were done by Aristotle. He discovered when a yellow and blue piece of glass was brought together a third color green was produced. He also discovered that light travels in waves. Plato and Pythagoras also studied color and light. During the Middle Ages, Paracelsus reintroduced the knowledge and philosophy of color using the power of the color rays for healing along with music and herbs. Issac Newton was pioneer on the frontier of color. In 1672, he published his first, controversial paper on color, and forty years later, his work ‘Opticks‘. Newton observed when sunlight passed through a prism out the other end came seven different colors: Red, Orange, Yellow, Green, Blue, Indigo and Violet. This effect of white light spreading into rays he called ‘dispersion’ and named the different colored rays the color ‘spectrum’. Newton concluded that white light was made up of seven different colored rays. Businesses are accepting that their employees may work better given a certain environment. Hospitals are also becoming aware of the effect that the color around them can have on patients. Paint companies have introduced new color cards with the therapeutic aspects of color in mind. Cosmetic companies too have ‘colour therapy’ ranges included in their products. Color which is all around us in nature has a great deal to offer and invites our continued exploration. As American Carpenters in Paris you learn quickly how little wood is used in construction and renovation here. Bottom line; it’s just too expensive. Much of Europe has been deforested many hundreds of years ago. In fact the first US patent was for potash or wood ashes used for fertilizer, which was sold to Britain and other European countries. But lately, it seems as if wood has been getting a bad rap. The focus on sustainable development never seems to include lumber as a material of choice; that is until now. 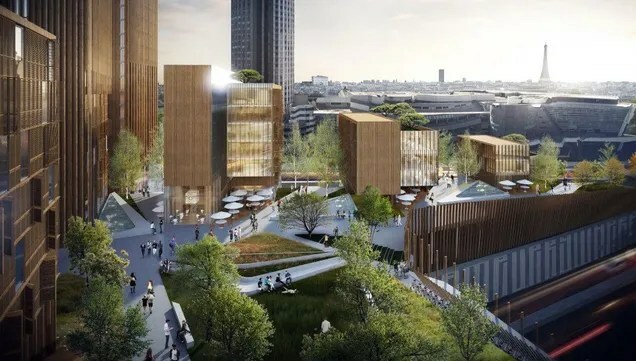 In the article, Towers Proposed For Paris Would Be The World’s Tallest Wooden Structures wood evangelist and architect Michael Green argues exactly the opposite. He says because of new technological advances wood as a building material has become stronger, safer, and more economical than steel. And with a name like ‘Green’ it’s kind of hard not listen. Everyone loves the bright, clean look of a white Marble countertops. Both classic and modern, the beautiful veined stone will never go out of style. Yet like many things of great beauty Marble is high maintenance and needs a lot of a tender loving care—something not suited for everyone. There is a Marble alternative: Quartz. The article, The Pros and Cons of Marble and Quartz Countertops will help you decide which is best for your kitchen. Time Out Paris guides you through the colorful streets of Paris in Spring. They offer ideas or proposals for peaceful, quiet walks and detours for you to enjoy. Click here for the complete article and slideshows or below for more info on each site. IKEA is hoping to put the brakes on a phenomenon born in Belgium in June and now gaining steam in the Netherlands. It’s an adult hide-and-seek game. These events are organized online by customers to be conducted in several stores. For the full story click here. What attracts this type of behavior to their stores. Buckminster Fuller was a 20th century inventor and visionary who did not limited to one field of expertise. He worked as a ‘comprehensive anticipatory design scientist’ to solve global problems. And one of the problems he chose to work on was the toilet. He devised a four, stamped sheet metal or plastic commode that was light enough to be carried by two workers. 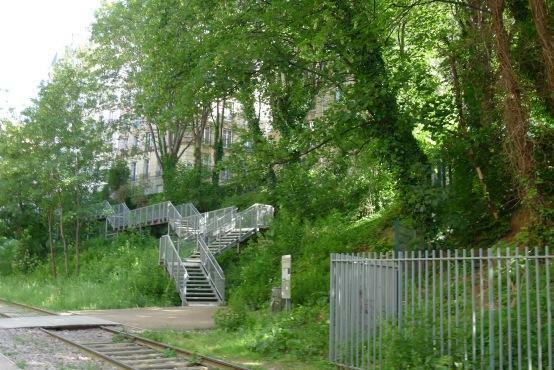 They’ll fit up tight staircases and through narrow doors, allowing retrofitting in existing structures. All the appliances, pipes, and wires are built-in, limiting on-site construction to simple instillation hook-up. With this configuration the interior has no germ-harboring nooks, crannies, or grout cracks. This focus on sanitation was part of a larger effort known as the Dymaxion House which was meant to use a minimum of materials to provide maximum living space. Easy DIY Cabinet Space Saver You Can Do!